Today, the sight of a helicopter speeding toward some destination is familiar enough, but take a moment to consider – is there a life at stake? Is someone in peril and on a knife edge of survival? of situations for the sake of saving others? Ever since the First World War, aircraft of the Royal Naval Air Service and later the Fleet Air Arm have operated from land bases and ships at sea, flying search and rescue missions. 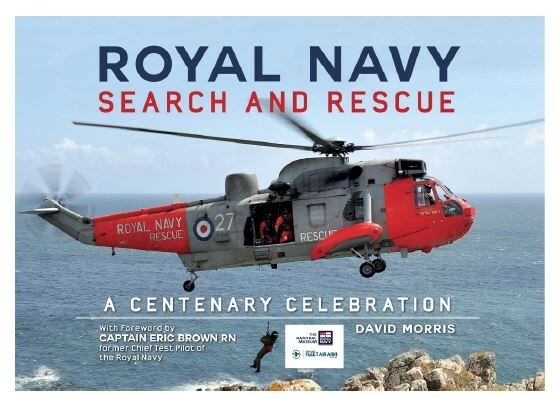 In this book David Morris, Curator of Aircraft at the National Museum of the Royal Navy, tells the incredible story of Royal Navy search and rescue from the first mission by Sir Richard Bell-Davies VC to the present day. 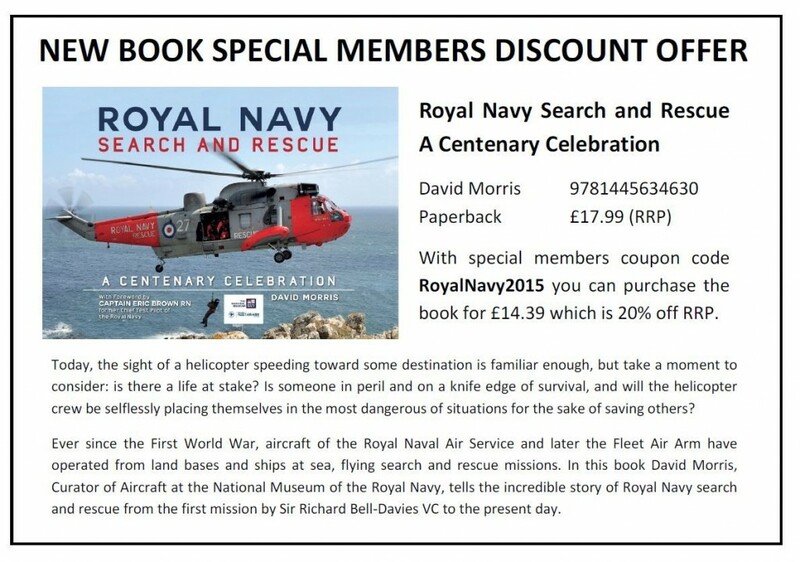 You can order online here: https://www.amberley-books.com/royal-navy-search-and-rescue.html – quote “RoyalNavy2015” and you might still get a discount!